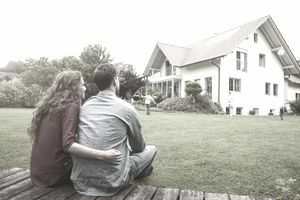 If your real estate market is in the middle of a down market, it is normal to wonder if you should wait to buy a home. Everybody wants to know how to best time the market when buying a home. It's just natural. Especially if you're thinking about buying in a down market where homes prices are declining. It is normal to wonder how low they will go and whether you should wait. You're probably thinking a Realtor will always say "Now is the best time to buy." Well, here is why you might not want to wait to buy in a down market. If you are a seller who wants to move up to a more expensive home in a down market, now could be the best time. The longer you wait to sell, the lower the price of your home could fall. If you can arrange for alternate housing, a smart strategy is to sell now, wait a few months, then buy your new home when you do not have a contingent offer. If you sell and buy simultaneously, you'll still be ahead of the game because the price reduction on the purchase is greater than the loss on the sale. For example, say your present house is worth $300,000, but because of high inventory and few buyers, you must reduce your price by 10%. So, instead of receiving $300,000, you would get $270,000 and "lose" $30,000. Which way are interest rates moving? Are they moving up or moving down? If interest rates are near an all-time low and beginning to inch upwards, waiting could cost you more than you would think. You might not be able to afford to buy a home at any price. Following is what happens if you're looking for a loan around $400,000. FACT: Each 1/2 point increase in your interest rate gives you $25,000 less in purchasing power. The payments are almost identical. However, the home you can afford to buy at 8.25% is $100,000 less than the home you can afford to buy at 6.25%. If you wait for prices to decline further, the perceived value could be lost due to higher rates. A good strategy is to weigh all the pros and cons of real estate ownership before making the decision to buy or sell. Don't panic over newspaper headlines. Make an informed decision. Run your own numbers. Talk to an experienced real estate agent who will put your interests first. $425,000 sales price, at 8.25% interest, your payment is $2,554. $450,000 sales price, at 7.75% interest, your payment is $2,579. $475,000 sales price, at 7.25% interest, your payment is $2,592. $500,000 sales price, at 6.75% interest, your payment is $2,594. $525,000 sales price, at 6.25% interest, your payment is $2,586.